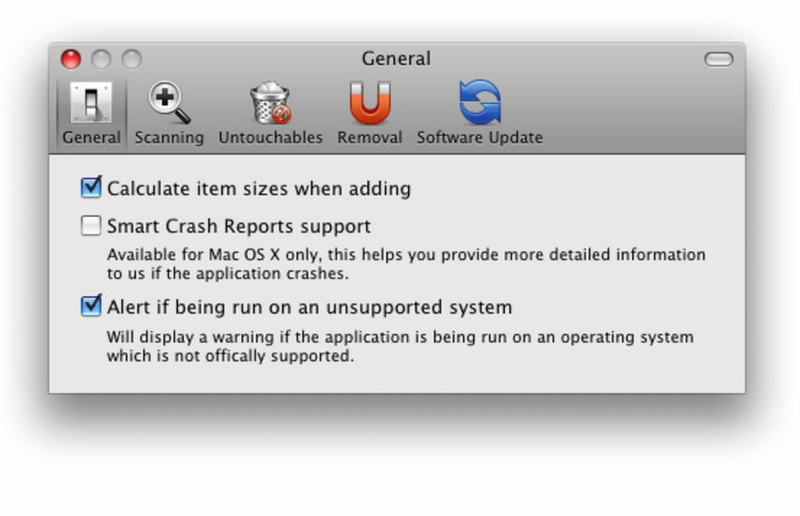 Although uninstalling programs is generally easier on a Mac than it is on Windows, dragging an application to the trash doesn't always remove everything it should do. 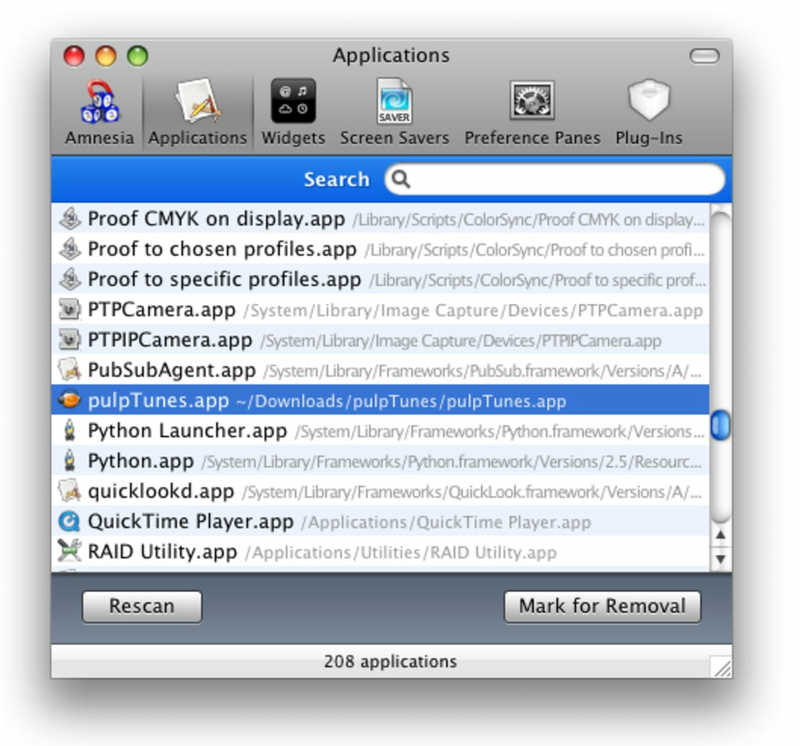 Applications often leave files and preferences behind to clutter your system with needless junk. Amnesia aims to make this process more thorough by removing logs, caches, application support files, preferences, crash reports, and many other application-specific files that get left behind. To prevent any problems afterwards, Amnesia also comes with a backup feature which allows you to roll back any changes that have been made in error. 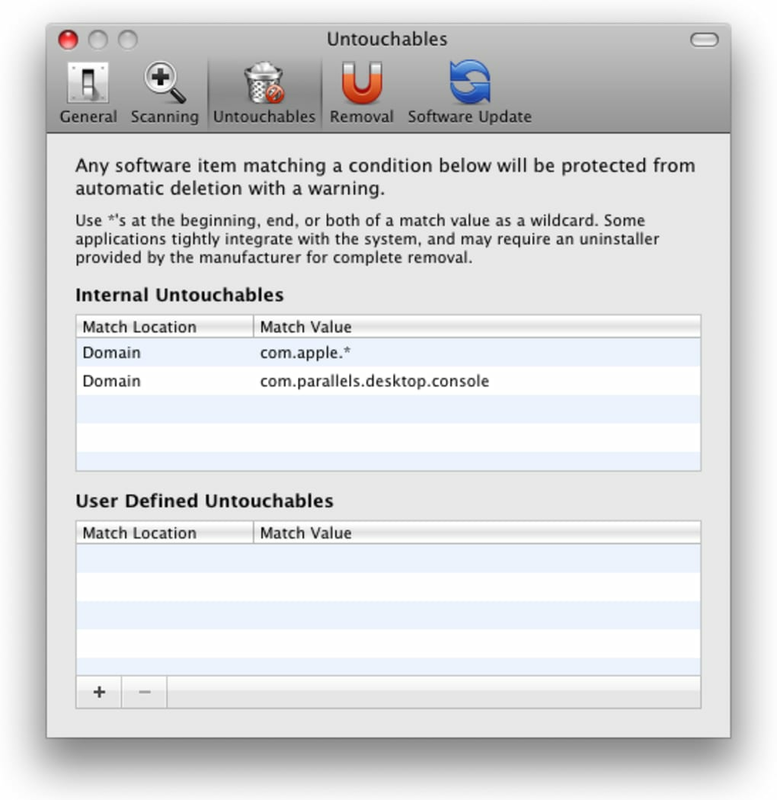 There's also an 'Untouchable' feature, which prevents the removal of key programs. This means that Amnesia will warn you if someone tries to remove an essential program or if you should accidentally do so yourself. Amnesia works via its own interface a bit like AppCleaner meaning you have to remove program using Amnesia as oppose to dragging them to the trash and Amnesia then stepping in to remove the rest. 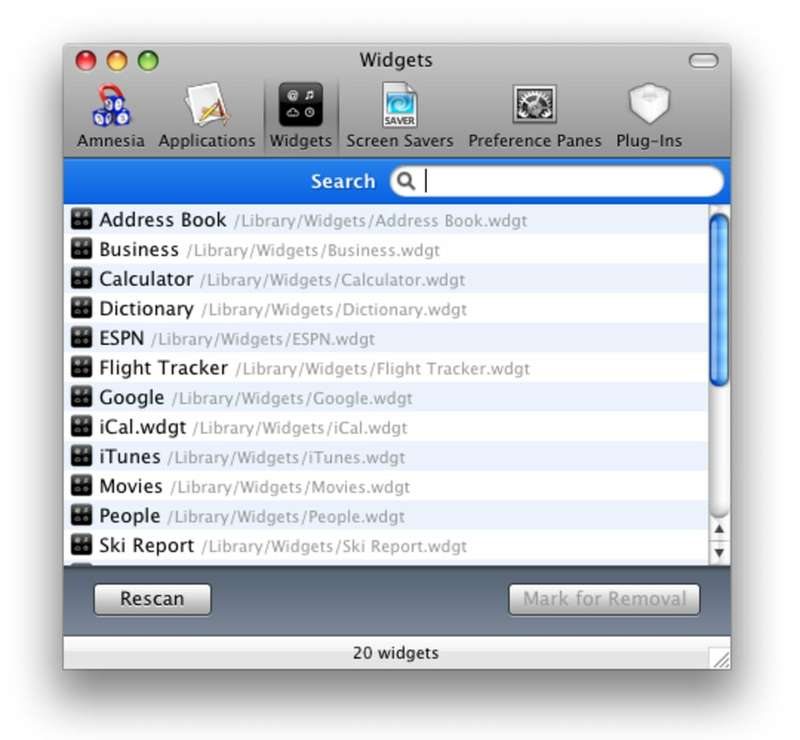 It's a little annoying to have to go down this road but the advantage is that once you've opened Amnesia, it provides handy buttons to install Preferences Panes, Applications and Widgets etc. Amnesia is for all those that don't want pesky files and folders left behind by programs when you drag them to the trash. 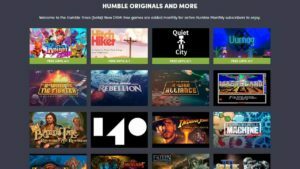 Bug Fix: Fixed issue backing up files. Bug Fix: No longer modifies the Dock .plist if no changes were made. 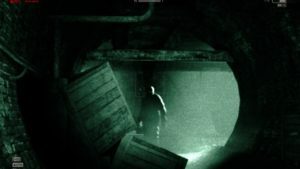 What do you think about Amnesia? Do you recommend it? Why?